Tania Hershman: the white road and other stories: What is flash fiction? With only several thousand words in which to tell their stories, short fiction is an art form in which every word counts. There is little room for anything which doesn't serve the story. A great short story is like a slap in the face, brief enough to devour in one sitting, leaving the reader gasping at what can be done in just a few pages. Flash fiction refines this even further. Also known as short shorts, sudden fiction, micro fiction, postcard fiction, prose poems, these terms refer to stories which are less than 1000 words long, and often much much shorter. Every word, every comma, every line break is crucial in these tiny fictions. While their extreme brevity allows for a looser definition of the beginning-middle-end story structure, these are not "fragments", they are complete unto themselves. This isn't something new, something invented by the "Internet generation" to fit onto a tiny cellphone screen or to suit increasingly hectic lifestyles. Jorge Luis Borges, Margaret Atwood, Richard Brautigan, Lydia Davis and Raymond Carver are just some of the "big names" whose flash fiction is widely available. Sometimes resembling poetry in the way their language twists and turns, flash fiction is increasing in popularity and can be found in literary magazines online and in print across the world, in many languages. In China, these tiny fictions are called "smoke-long" because they can be read in the time it takes to smoke a cigarette! 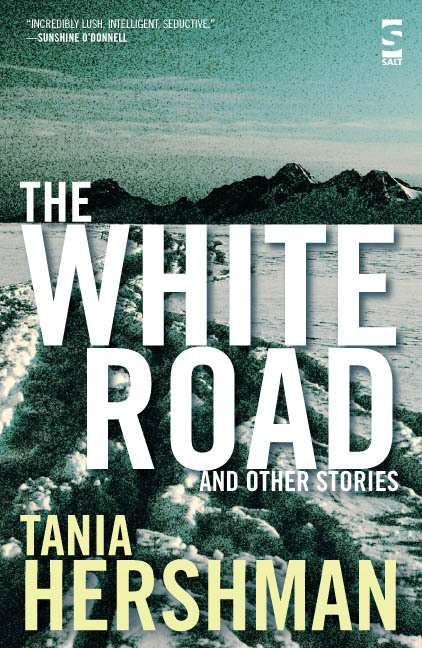 Half the stories in The White Road and Other Stories fall into the category of flash fiction. Read two examples: Plaits and I am a Camera. Many of the stories in my new collection, My Mother Was An Upright Piano, would also fit into this category. More on flash fiction: visit FlashFiction.net for many articles, discussions and flash fiction resources, Writing-World's article Flash What?, Writing Flash Fiction on The Fiction Factor. Duotrope's Digest, a database of current markets for fiction, an invaluable resource for writers and readers. Sudden Fiction and Sudden Fiction (continued) edited by Robert Shapard, James Thomas. Classic anthologies of flash fiction. Feeding Strays by Stefanie Freele. Read The Short Review's review here. Breaking it Down by Rusty Barnes. Read The Short Review's review here. Black Tickets by Jayne Anne Phillips. Read The Short Review's review here. All Over by Roy Kesey. Read The Short Review's review here. The Sky is a Well by Claudia Smith. Read The Short Review's review here. Aromabingo by David Gaffney. Read The Short Review's review here. You Have Time for This edited by Mark Budman and Tom Hazuka. Read The Short Review's review here. Loud Sparrows: Chinese Contemporary Short-shorts selected and translated by Aili Mu, Julie Chiu and Howard Goldblatt. Read The Short Review's review here.